Eerdmans Books for Young Readers, 9780802853264, 34pp. As Rose anxiously awaits the birth of the family's new baby, she isn't sure what to expect about her new role as big sister. She isn't sure whether she wants a baby brother or a baby sister; actually she isn't sure she wants a new baby at all But when her new little brother actually arrives, suddenly everything seems just right. 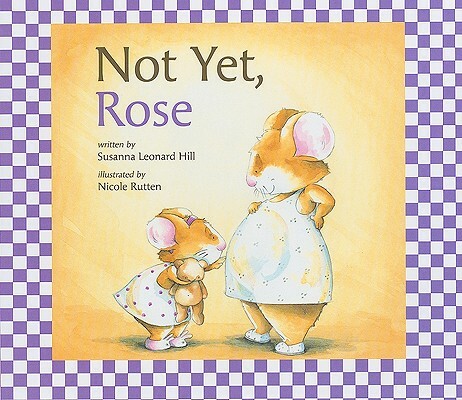 / Susanna Leonard Hill's text perfectly captures the excitement and apprehension of children anticipating the arrival of a new baby, and Nicole Rutten's sweet hamster characters make this an ideal story for siblings-to-be.